Hey there! Thanks for dropping by Eight Paws! Take a look around and grab the RSS feed to stay updated. See you around! The end of an era always tends to bring on a spate of reminiscences and bewailing the disappearance of whatever we most loved about said era. 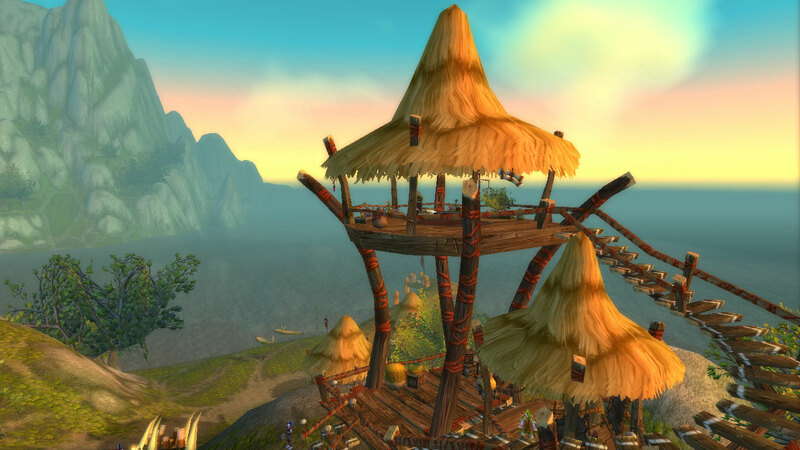 In the spirit of the times, therefore, I’ve been doing a little meditating on the idea of a home in Azeroth – and, being possessed by the lunacy of Hallow’s End, Blog Azeroth has elected to use the idea as a shared topic this week. This is a topic that’s close to my heart for a whole lot of reasons. I haven’t seen my own real life home in a long time, and probably won’t for a long time yet, but at heart I’m definitely a homebody (in spite of a life spent traveling). For that reason, I often will look for somewhere that ‘fits’ to use as a sort of base of operations – whether in a new city or in a computer game! – and, of course, I’m hardly alone in that. 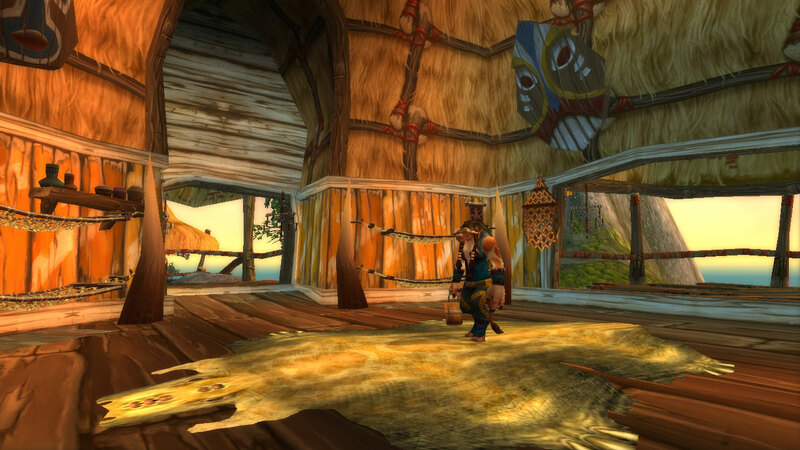 There’s a distinction in WoW, though, between a functional home and an emotional home…or at least, there is for me. I originally became more familiar with the more traveled places, of course. If I had to choose the area I know best, it probably would be Darkshore (after leveling several night elves and draenei). The city I’m most familiar with? Probably Stormwind or Orgrimmar, no surprises there. My favourite place to look at? Ouch, that’s a tricky one. The jury’s still out on that one, maybe I’ll know in five years or so…but I’m guessing Storm Peaks or Stranglethorn Vale would probably be up there. 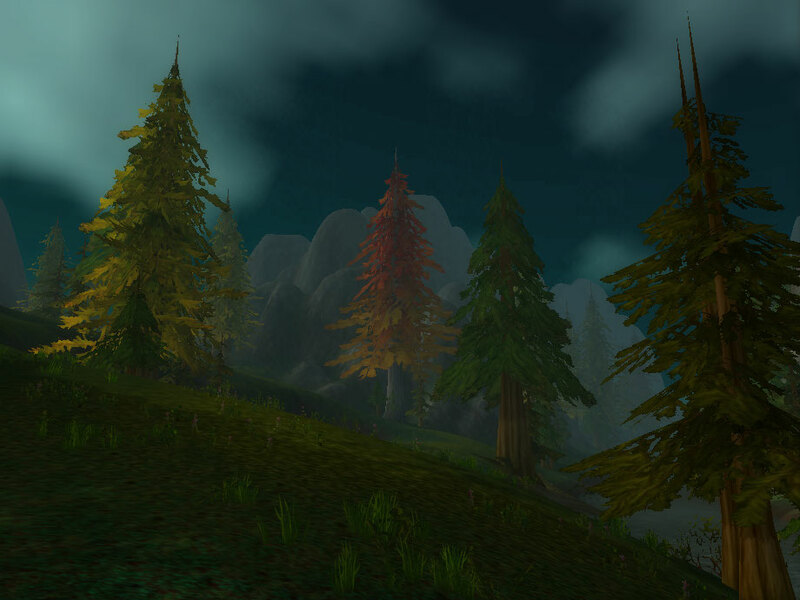 Certainly Azeroth is a beautiful place. Functionally, I guess Dalaran and Stormwind/Orgrimmar share the honours – Dalaran for the shops and the portals, the others for the auction house. There are, after all, only so many places you can sensibly use to conduct all the practical micromanagement that is life in WoW. ‘Emotional home’, though, is a different story entirely. Stormwind might be practical, but homelike? Not really. Auberdine is familiar, but, well, a bit…dreary (is it only me who feels a cataclysm might improve it? *ducks*). 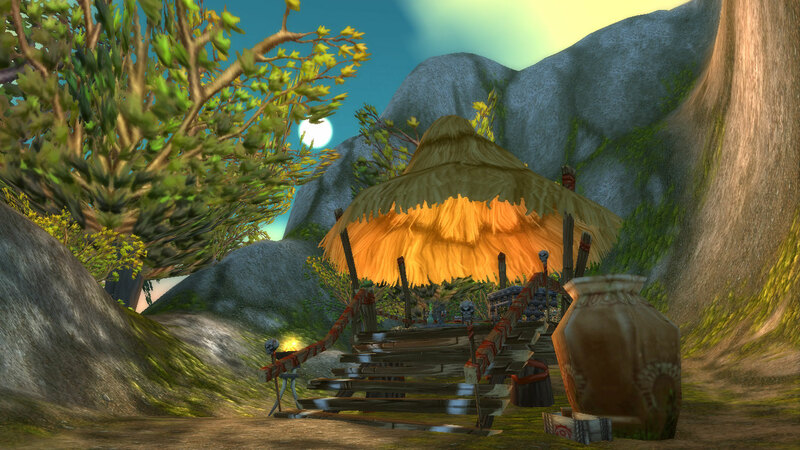 And Stranglethorn Vale is a bit hot and humid really – I never liked the tropics that much. I will certainly admit that most people probably wouldn’t consider Desolace as their favourite place to spend time. In general, neither would I – with the exception of Shadowprey Village, tucked into a little strip of land ‘between the mountains and the sea’. 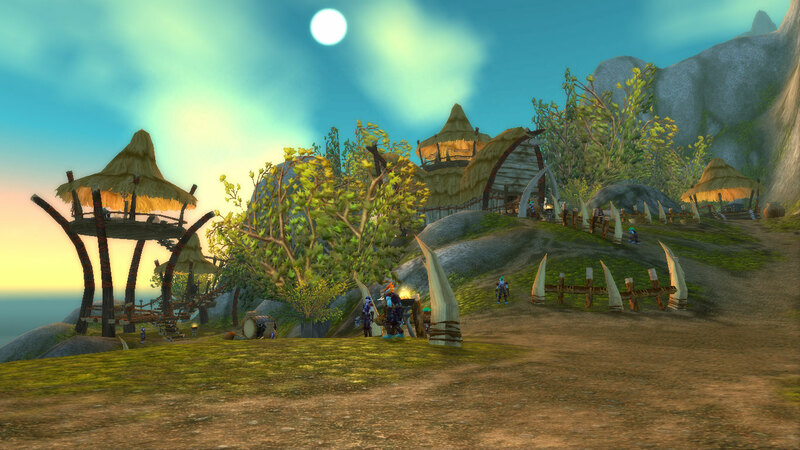 I didn’t actually discover it until quite a while after I had started playing WoW, because Dhak never went to Desolace while leveling (and in any case would have been unlikely to visit a village full of trolls! ); it wasn’t until my hunter got sent there in search of bloodbelly fish that I even had a reason to visit. When I did, I didn’t notice it much at first, being rather focused on finding the quest mob and then going for a swim to collect shellfish for him. It wasn’t until I was twenty feet underwater and actually opened my eyes and looked that I realised that actually, the seaweed and sea-floor were quite lovely. And then I surfaced and turned and looked back at the village, and fell in love – just like that. The love affair was confirmed after I swam back and had a better look at the place. It reminds me subtly of my real home (which is nowhere near the sea) – the only explanation for this I can come to is that the air is clear and it’s tucked into the shadow of a mountain, but I think it’s something in the atmosphere. 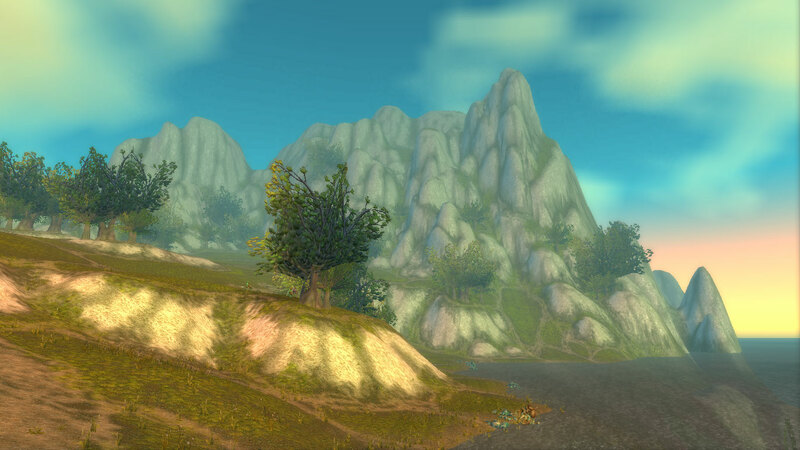 This is possibly fanciful, but I reserve the right to be fanciful in a blog about Azeroth! At any rate, an elusive something there makes me feel safe and happy, which after all are two major and necessary qualities in anybody’s home. The buildings are quaint and pretty, and you can get up toward the sky; this is terribly important for me as I have a love of flight and the sky that borders on an obsession. But above all, it just feels right. I can wander around there for long periods of time, just looking – even though I’ve seen it all before. 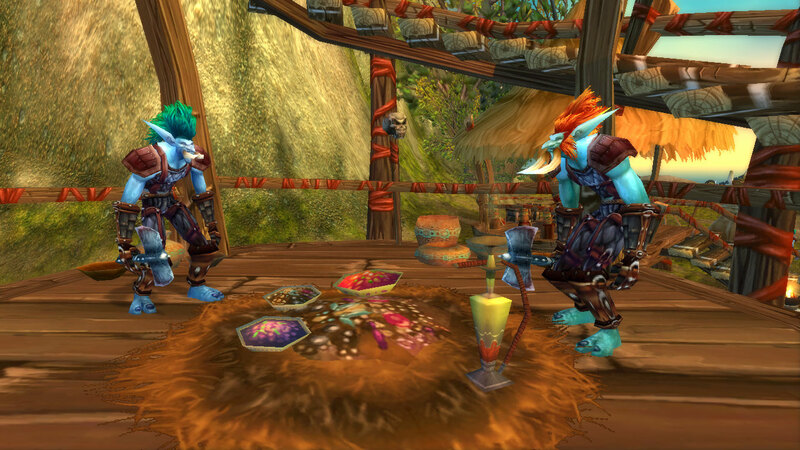 My horde characters, once they’re level-appropriate, tend to return there at regular intervals. I have one character on a RP realm who hails from there, and she is always pathetically glad to get home and away from the rest of the world. Being in such an out-of-the-way spot, too, it’s rare to meet another player – which for my introverted self can be a good thing at times. But now, of course, Cataclysm is coming. And while I’m looking forward to it in the main, I’m getting more and more worried about what it’s going to do to the places I like – in particular, this place. I think Rhii expressed it best in this post just after the Cataclysm cinematic came out. She’s more bothered by Freewind Post and Auberdine biting the dust, while for me the gasp came when I saw that wave hovering over Booty Bay – how dare he? From my understanding of things, Shadowprey Village will survive Deathwing’s arrival, at least in the most part, but just about the first thing I do when Cata hits will be to log on one of the characters who’s there and make sure he hasn’t touched a single thing, directly or indirectly. And if he has…if he’s drowned, burned, dislodged or otherwise destroyed anything in that village…well, just the idea of that is what gets me feeling really murderous toward a certain large, black dragon. Home sweet Desolace. Who’d have thought? Today I was a good little fantasy hero and toddled off to do my Harvest Festival honouring of Uther Lightbringer in the Plaguelands. 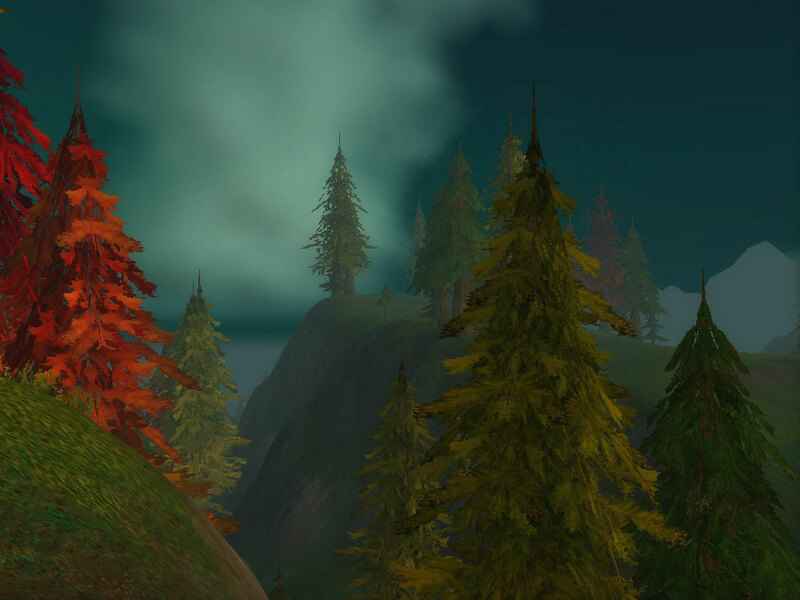 Since I was also on a low-level (but nonetheless valiant) hero at the time, I had to walk from Southshore as I didn’t yet have the Chillwind Camp flight point. 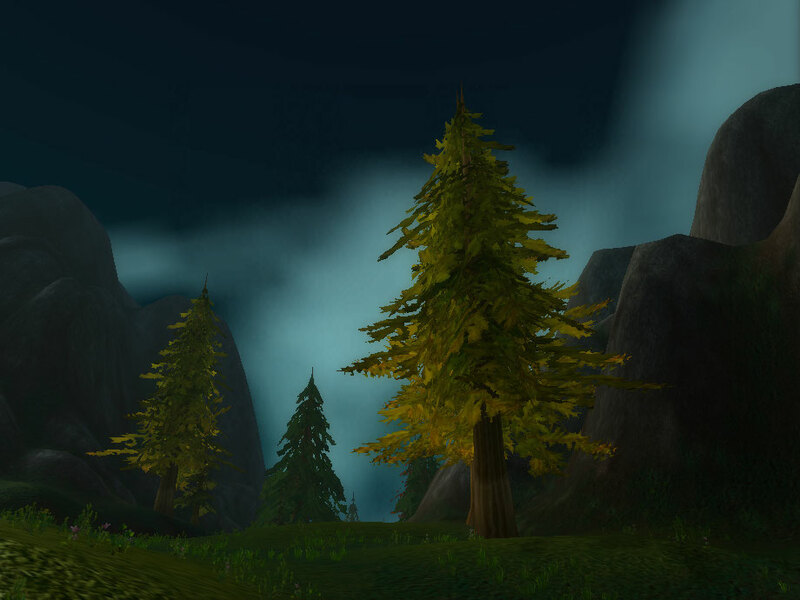 My efforts were rewarded, however, by (re)discovering how gorgeous the Alterac Mountains can be – when they’re not being snowy and full of ogres, or cratered and ruined. My sky- and mountain-loving soul delights in scenery like this 🙂 Chalk up another one for Blizzard’s design team! What’s Better than One Druid? Eight Paws blog by Sionel is licensed under a Creative Commons Attribution-NonCommercial 3.0 Unported License.